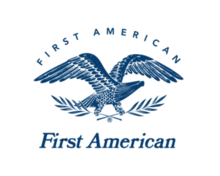 First American Financial Corporation (NYSE: FAF), a leading global provider of title insurance, settlement services and risk solutions for real estate transactions, released the First American Loan Application Defect Index for October 2018, which estimates the frequency of defects, fraudulence and misrepresentation in the information submitted in mortgage loan applications. The Defect Index reflects estimated mortgage loan defect rates over time, by geography and loan type. It is available as an interactive tool that can be tailored to showcase trends by category, including amortization type, lien position, loan purpose, property and transaction types, and can provide state- and market-specific comparisons of mortgage loan defect levels.